Q. How do I cancel a requested item or hold? Log in to your account using your library card and PIN number. 1) Under My Account select the Holds tab. 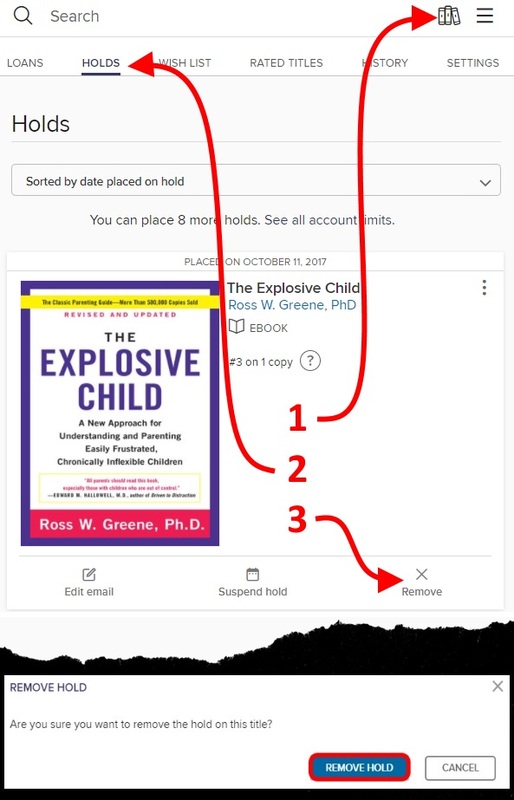 2) Check the checkbox(es) next to the book(s) you wish to cancel. 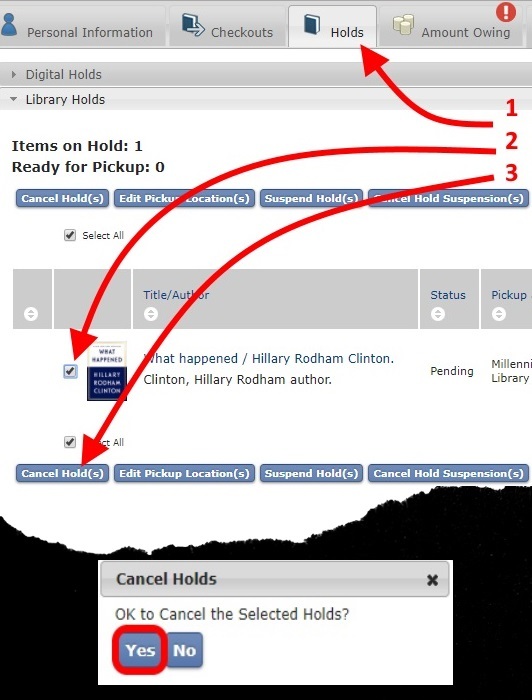 3) Select the Cancel Hold(s) button, then select Yes. The location of icons, links, and buttons vary in Overdrive depending on your screen size. The elements to select may not be exactly as pictured. Log in to your Overdrive account. You can also call your local branch and they will cancel your hold for you.